Being the 10th year that Melbourne Crown Casino has hosted the Aussie Millions, I think everyone expected it to be a little more special than other years. Oliver Speidel took home the bacon in the Main Event, beating out a field of 659 players to take home the first place prize of AUD$1,600,000. On his way to victory Speidel had to over the Final Table of Kenneth Wong (2nd place – AUD$1,000,000), Mile Krstanoski (3rd place – AUD$610,000), Mohamad Kowssarie (4th place – AUD$405,000), Patrick Healy (5th place – AUD$300,000), Bjorn Li (6th place AUD$230,000), Yann Dion (7th place – AUD$170,000). Other noteable deep runs include Lee Nelson (9th place -AUD $125,000), Phil Ivey (12th place – AUD$100,000) and Grant Levy (15th place – $75,000). But back before the Main Event got underway, the ne exclusive tournament on the agenda was the Tournament of Champions where all the previous winners of the Aussie Millions Main Event would battle it out for a fantastic prize. In the end 8 of the 9 past champions took to the felt, all with hopes of taking the 1st place prize of a lifetime entry into the Aussie Millions Main Event. The eight players who will attend are Peter Costa (2003), Tony Bloom (2004), Jamil Dia (2005), Lee Nelson (2006), Gus Hansen (2007), Stewart Scott (2009), Tyron Krost (2010), and David Gorr (2011). When the last chip was passed, it was Tyron Krost, who theoretically would make the most of the ‘Lifetime Prize’ as he was the youngest of the bunch. Tyron won the event back in 2010 and will now never have to pay entry into the Aussie Millions for as long as he is alive. The other big tournaments on the bill for this years Aussie Millions Championships were the 100k Challenge and the 250k Super High Roller tournaments. 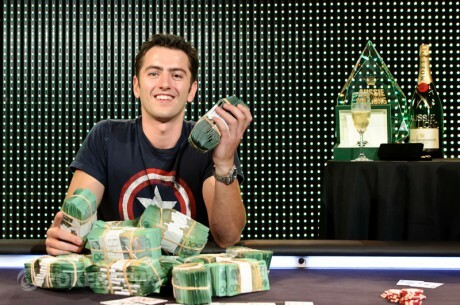 In the 100k, it was Dan Smith who beat out 21 player to claim Top Prize of AUD$1.012 million. Smith beat Mikhail Smirnov (AUD$616,000) heads up, Joe Hachem in 3rd (AUD$330,000) and Tony G in 4th place (AUD$242,000). 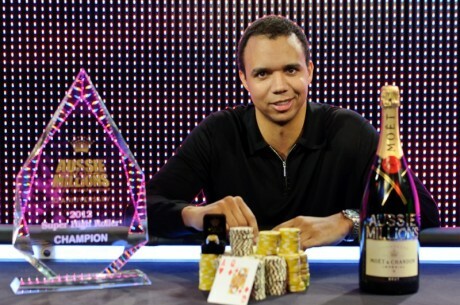 In the 250k, it was the return of the Champion Phil Ivey who took the largest prize on offer winning AUD$2,000,000, beating Patrik Antonius in 2nd place (AUD$1,200,000) and Gus Hansen in 3rd place (AUD$800,00). This event also saw Daniel ‘KidPoker’ Negreanu take home the bubble boy tag as he finished in 4th with no prize.